I don’t spray my figures black (or white) – unless (possibly) these extremes feature heavily in the colour scheme. I have, as I mentioned in Post 11, a personal war against the use of (gloomy) black and (glaring) white on my wargames table! After waiting a lifetime for someone to produce a dark brown spray, German company Montana appeared with a whole spectrum of colours to choose from – the range now completely overhauled and standing at 204 colours. The Montana Gold series paint is quick-drying with flexible characteristics and the cans have a variety of exchangeable caps available. However, the paint is not designed as a primer but for finished artwork – urban street art! Not entirely wargames-friendly as although described as having a matt finish the paint’s an acrylic lacquer than can dry with a less than helpful shiny finish that needs perseverance for paint to take – but not always. Not spraying too close (sometimes hard with 10mm figures!) can help produce a less shiny finish. I’ve experimented with a number of different colours and I’ll certainly continue to experiment with more colours from the range. The guidelines I follow are that off-whites and off-blacks, preferably browns, are more versatile than the extremes of black and white. 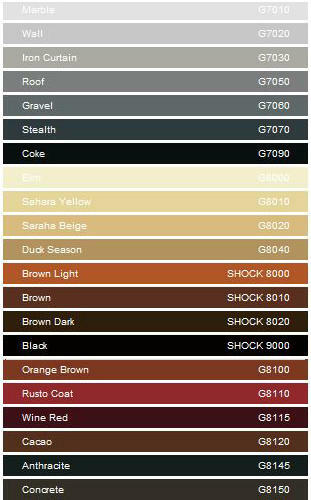 Rather than black, Dark Brown (SHOCK 8020) is my staple dark undercoat for creating shadows and outlines. It’s dark enough to replace black but with more warmth and subtlety. Similarly, it acts as an suitable undercoat for warm metallics like bronze. For cold steel, black may be preferable. Again though, I prefer Montana’s Coke (G7090), an off-black – for French cuirassiers on black horses! For figures with lots of flesh, leather or clothing, I have used mid browns like Montana’s Coconut (now no longer available) and Army Painter’s Leather Brown.